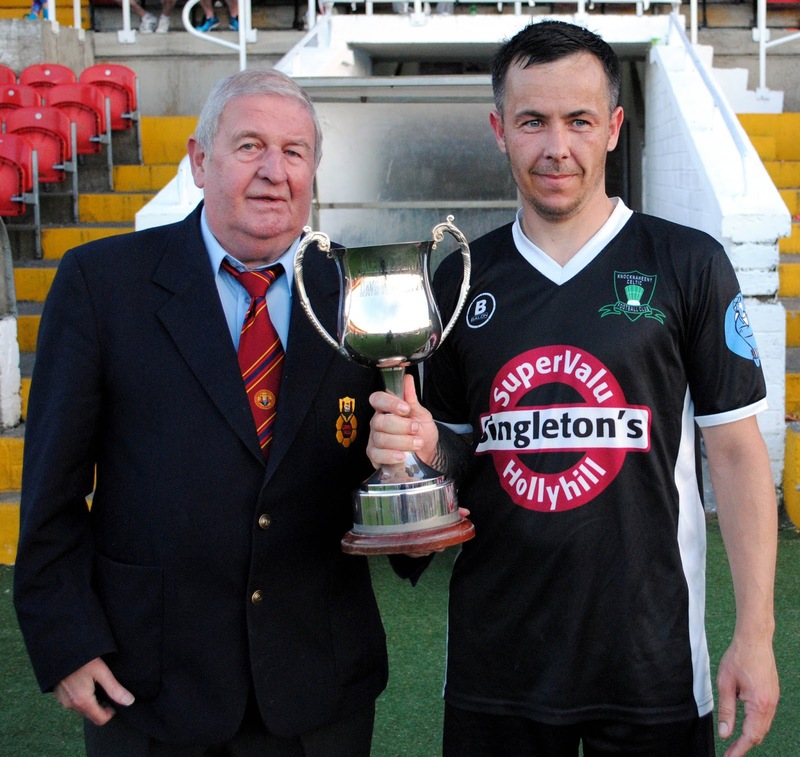 Waterloo’s Frank McCarthy and Damien Ronan is presented with the Corinthian’s Cup by Henry Healy (Cork AUL) following their 3-2 win against Cathedral Celtic at the Cross on Saturday night (9 June 2018). 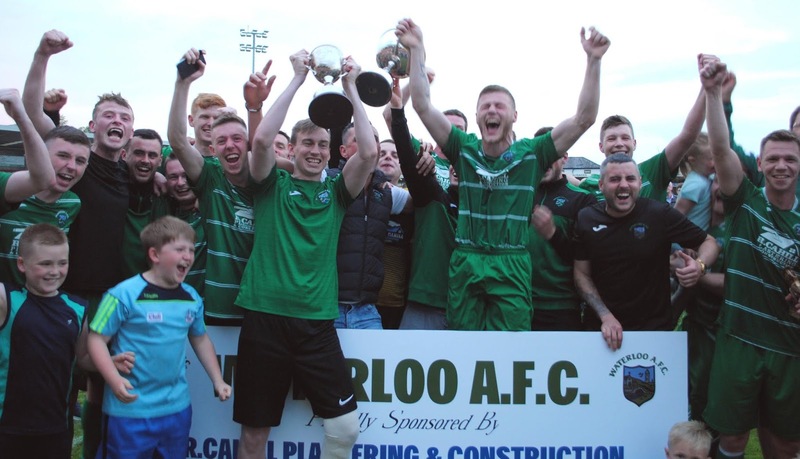 Waterloo’s players and supports celebrate after winning the Corinthian’s Cup following a 3-2 victory over Cathedral Celtic at the Cross on Saturday night (9 June 2018). 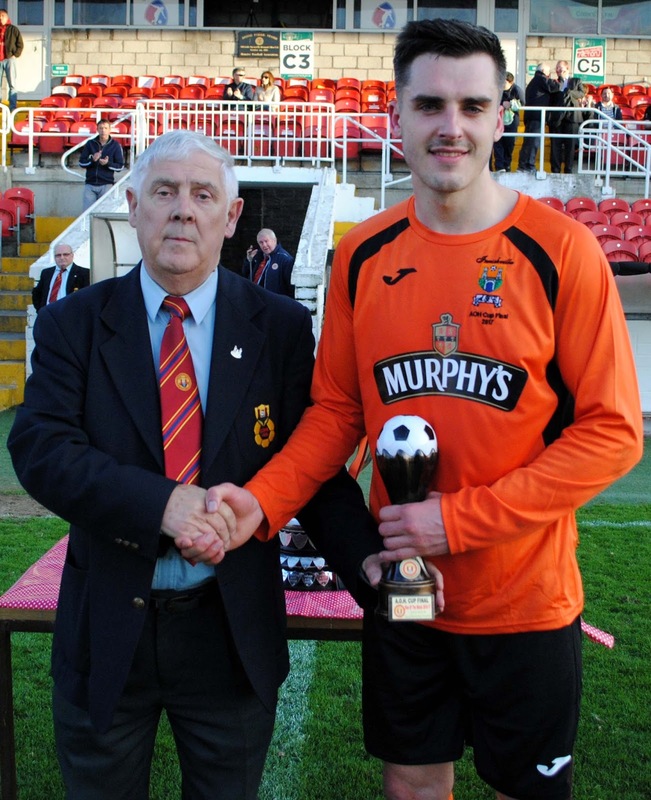 Congratulations to Innishvilla who are Murphy’s Stout AOH Cup champions for 2016/17 following their 1-0 win over holders Park United A in Turners Cross on Saturday night (27 May 2017). 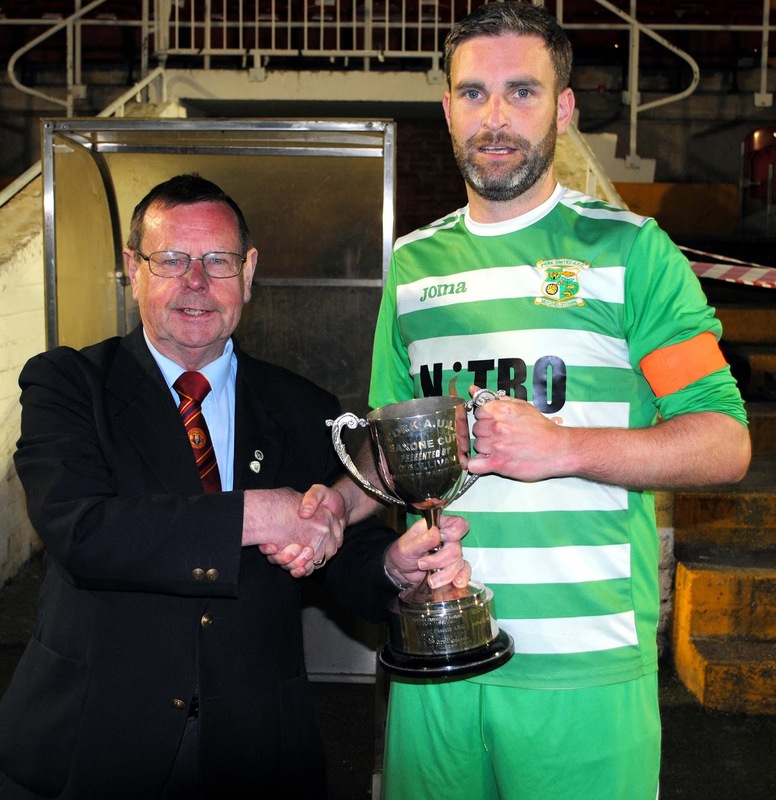 Mr Ted O’Mahony (Chiarman of the Cork AUL) presents the AOH Cup to Innishvilla’s captain Ger Rice following their 1-0 victory over Park United at the Cross on Saturday night (27 May 2017). 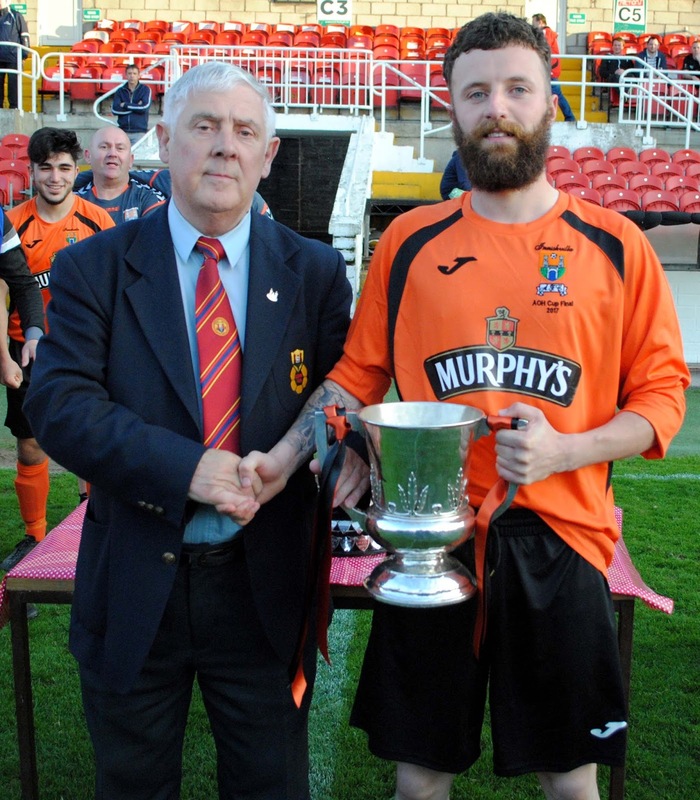 Innishvilla FC display the AOH Cup following their 1-0 victory over Park at the Cross on Saturday (27 May 2017). 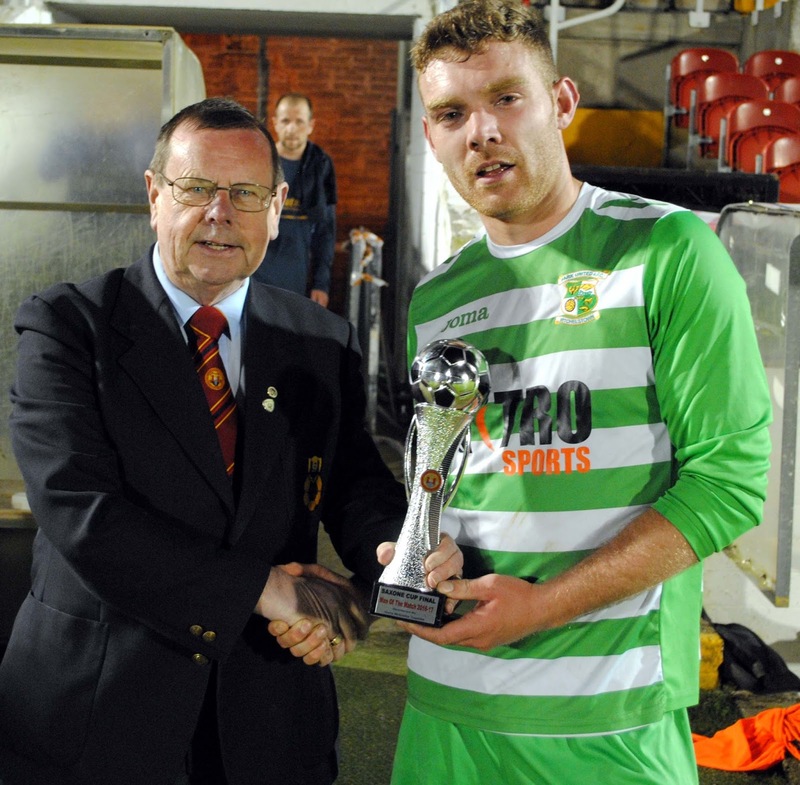 Tony Chambers (Cork AUL) presents the man of the match award to Knocknaheeny Celtic’s Wayne Doherty after his side defeated Bohemians in the City Challenge Cup at the Cross on Wednesday night (8 June 2016). 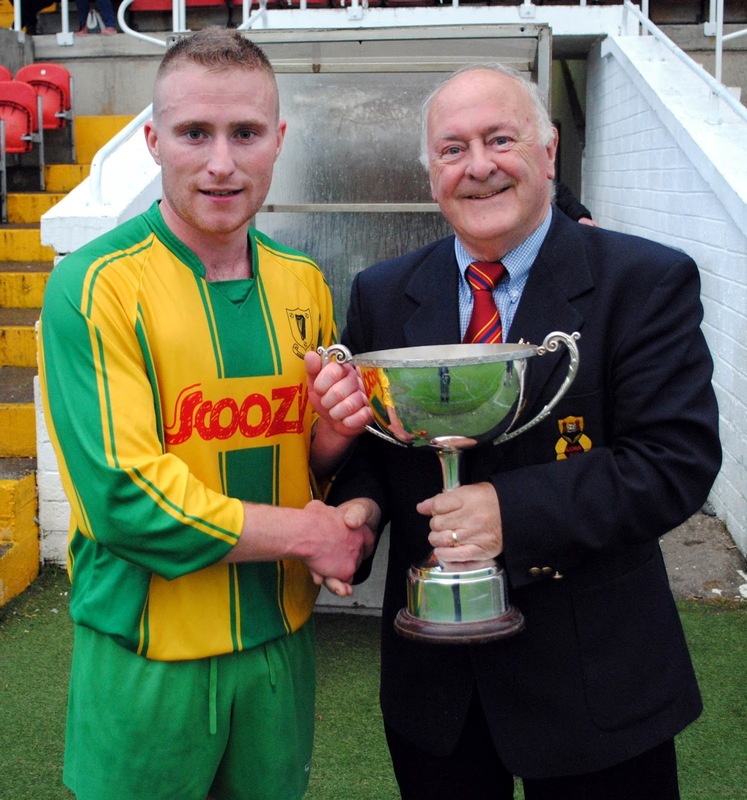 Tony Chambers (Cork AUL) presents the City Challenge Cup to Knocknaheeny Celtic’s captain Roy Kenny. 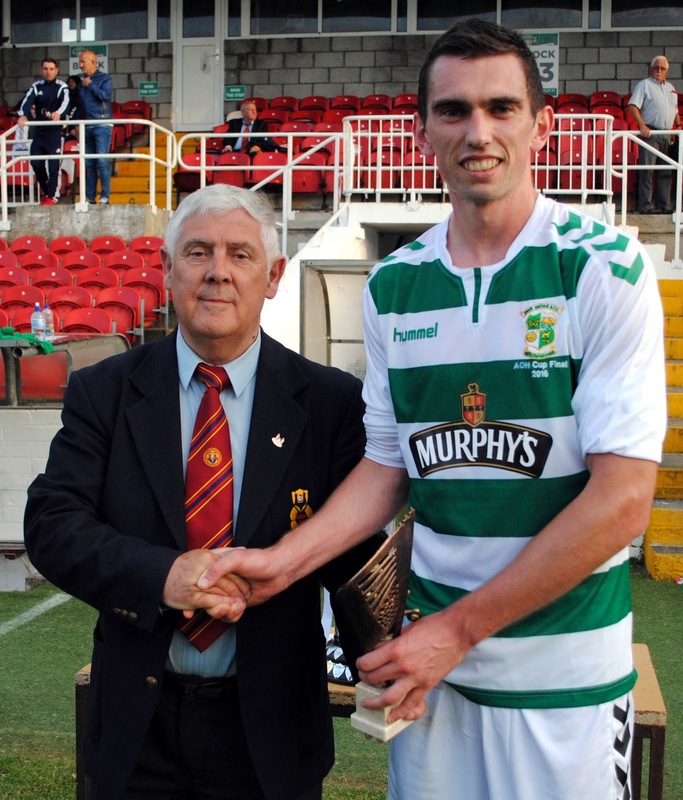 Ted O’Mahony (Chairman Cork AUL) presents the AOH Cup to Park United’s captain Lar O’Flynn following his side’s 3-0 victory over Village United at Turner’s Cross on Sunday night (5 June 2016). 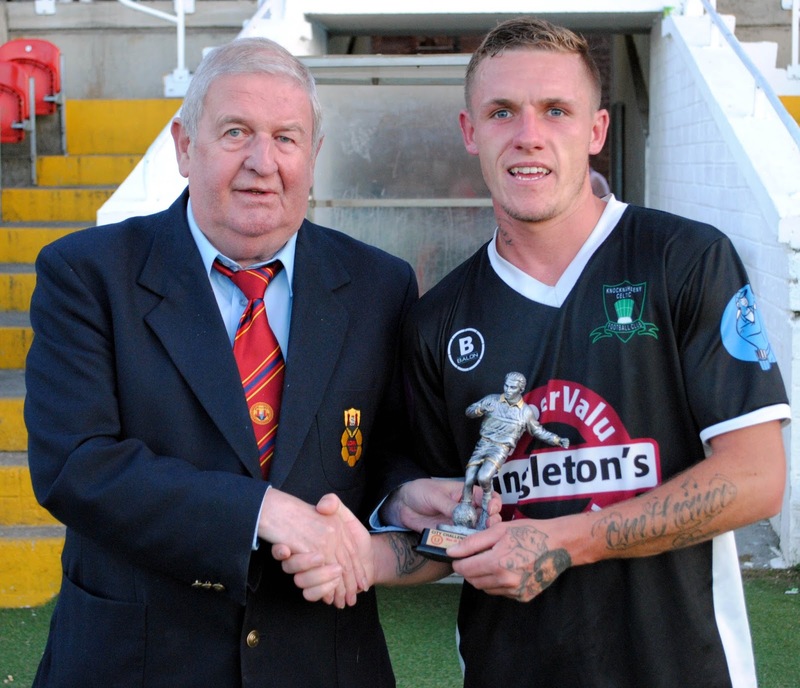 Ted O’Mahony (Chairman Cork AUL) presents the man of the match award (Sponsored by Gary McCarthy Trophies) to Shane Beston after the game. 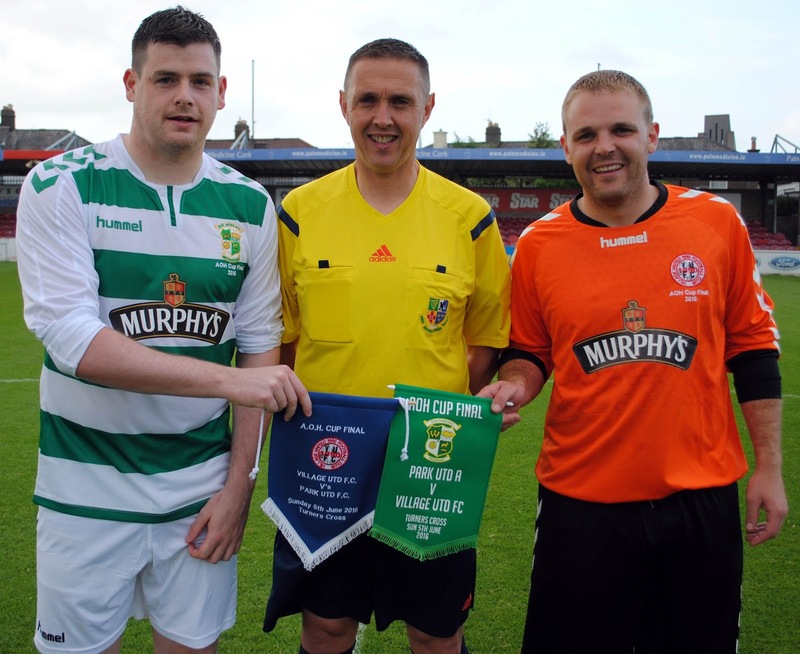 Park United’s captain Lar O’Flynn and Village United captain Tomas Butler exchange pennants before the AOH Cup Final at the Cross on Sunday night (5 June 2016). 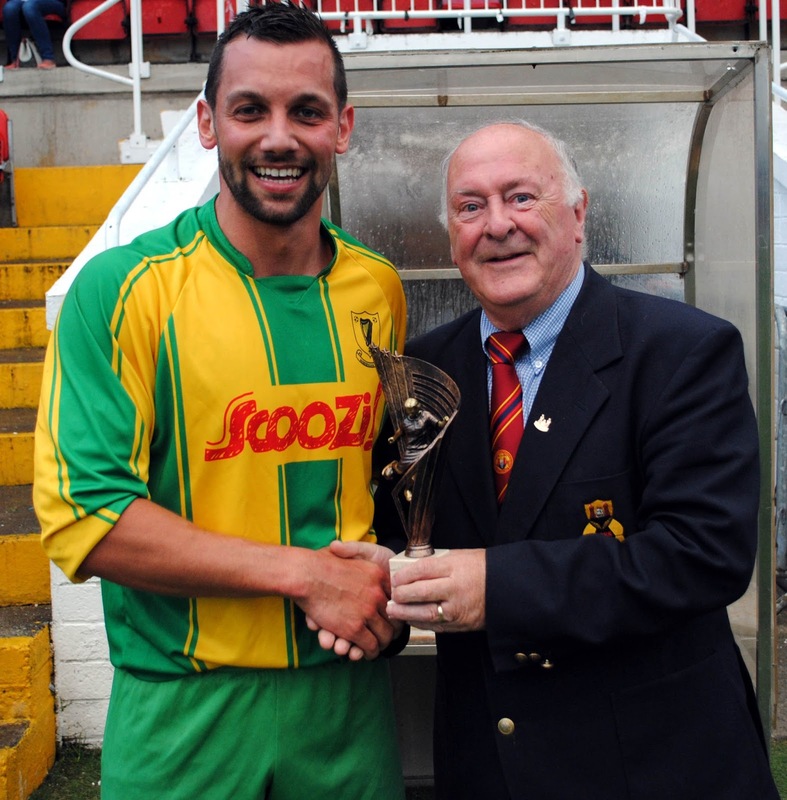 Also in the picture is referee Ray Murphy. 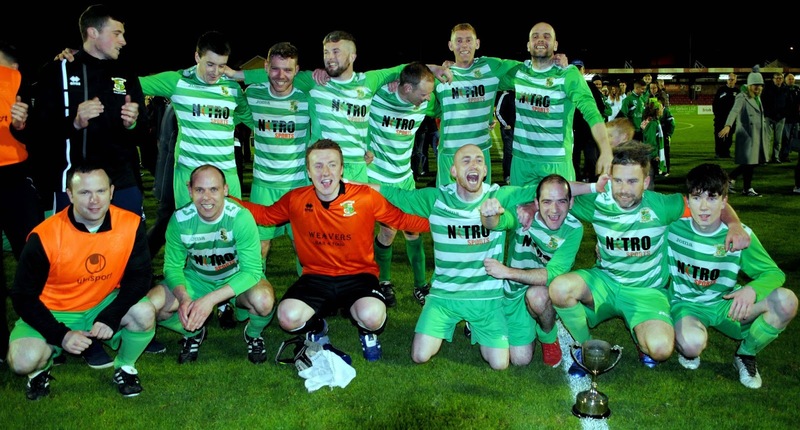 Park United players celebrate after being presented with the AOH Cup following their 3-0 victory over Village United at the Cross on Sunday night (5 June 2016). 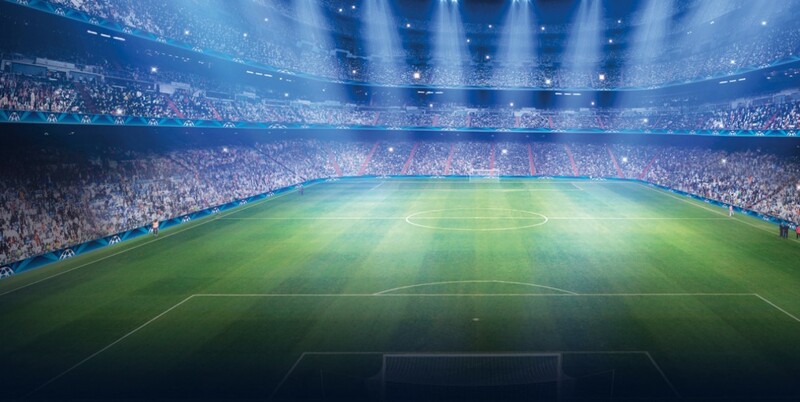 Sunday, 5 June 2016 – K/o 7 p.m.
Monday, 6 June 2016 – K/o 7 p.m.
Wednesday, 8 June 2016 – K/o 7.30 p.m.
Friday, 10 June 2016 – Ko/o 7.30 p.m.
Sunday, 5 June 2016 – 7 p.m.
Park United v Village United. 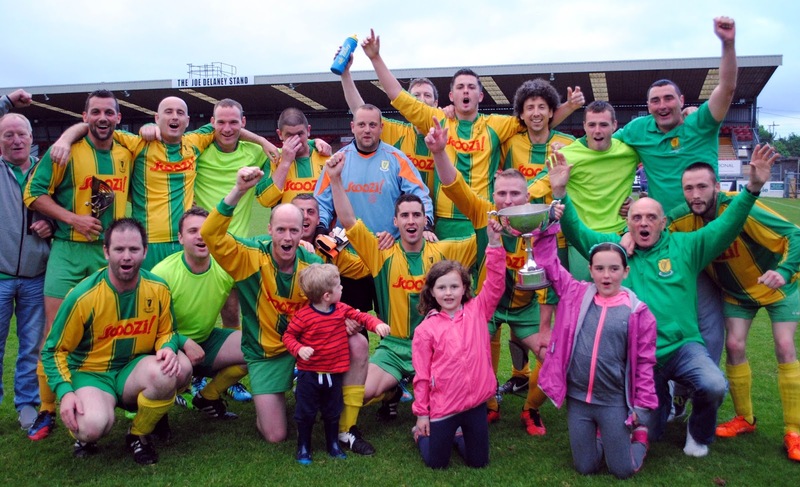 Monday, 6 June 2016 – 11 a.m.
Blackpool Celtic v City Wanderers. Monday, 6 June 2016 – 7 p.m.
Wednesday, 8 June 2016 – 7.30 p.m. 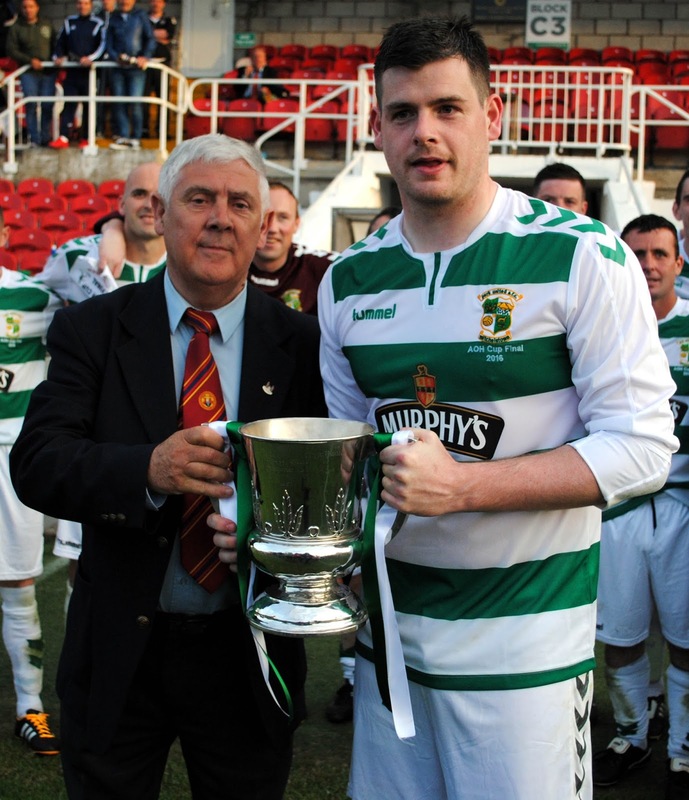 The 2016 Murphy’s Stout AOH Cup final will be contested by Park United A and Village United in Turner’s Cross on Sunday, 5 June 2016 with a 7 p.m. kick-off. 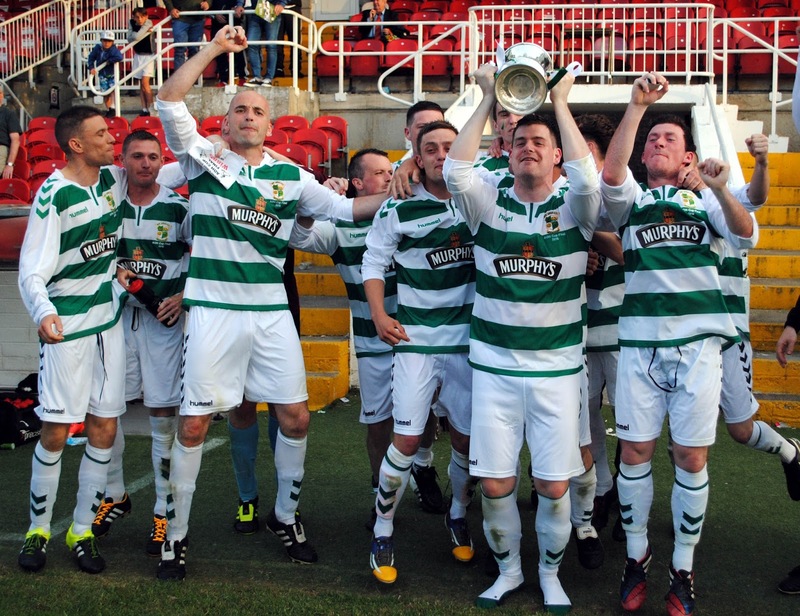 Congratulations to Ballincollig, crowned FAI Youth Cup champions at Turner’s Cross this afternoon. 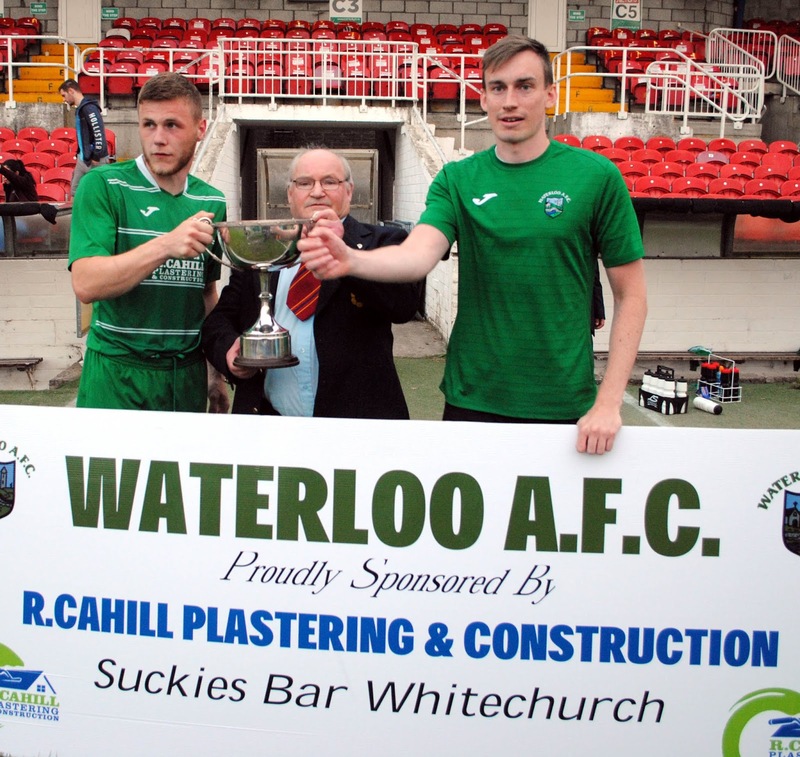 They had the better finishers on the day and super goals by Ronan Barrett, Matthew Whelan and Darren Murphy, earned them the honours. Ringmahon too has their good spells but failed to make them count. 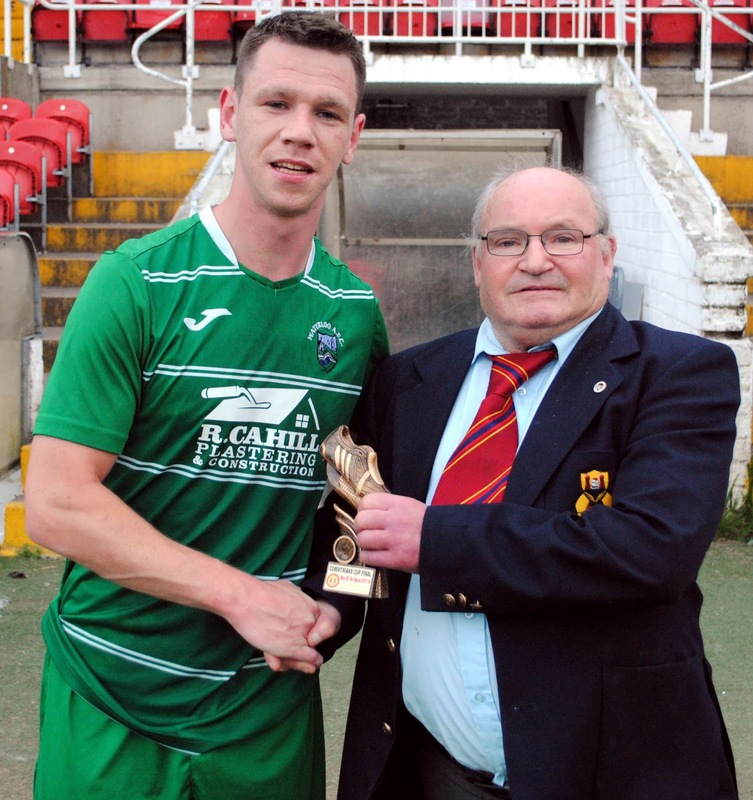 A towering header by Barrett put Ballincollig in front in the first quarter and ace defender Troy O’Sullivan touched in a 25th minute equaliser. Midway through the second half, after a good deal of Ringmahon pressure, excellent Ballincollig approach play sent Whelan in and his cool finish restored the lead.